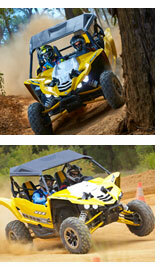 It's time for you to drive Yamaha's latest four-wheel weapon! The Yamaha YXZ1000R. This 100% pure sports vehicle is one of a kind. Now its your turn to jump inside and go for a drive. It has a 998cc three-cylinder engine, five speed manual transmission, electronic power steering and a cockpit resembling a fighter jet! The YXZ is not for the faint hearted. 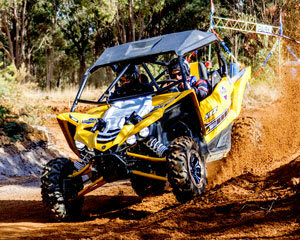 The YXZ has incredible shocks and suspension that make you feel comfortable and safe. You will drive 12 laps with and instructor at your side, and then later on 2 hot laps as passenger that will have you sitting on the edge of your seat while we show you just what this beast of a machine can do - you will never want your hot laps to end.